FABB still has openings for volunteers to attend the 2017 National Bike Summit from March 6-9, 2017, in Washington D.C. at the Renaissance Hotel. FABB will pay the registration costs and reimburse volunteers for reasonable expenses (Metro tickets, parking,etc.) related to their participation. The event, sponsored by the League of American Bicyclists, gathers bicyclists from around the country to learn about topics such as regional planning, national and local messaging, and collaborative techniques to advance bicycling. Workshops this year will include topics such as youth bike education, Vision Zero safety initiatives, and Bicycle Friendly Community applications. The summit’s final day is spent on Capitol Hill lobbying legislators on bicycling. If you are interested in participating to learn more about bicycle advocacy and are able to commit to the three-day summit, please contact Jeff Anderson at president@fabb-bike.org. There is still time and room for bicyclists and others to sign up for FABB’s free bike advocacy workshop this Saturday, 4 February, from 9:30 a.m. to 3 p.m. at Prince of Peace Lutheran Church, 8304 Old Keene Mill Rd in Springfield (across the street from the Springfield Golf and Country Club). Registration has been extended and you can sign up via Google. Lunch will be provided. Participants can look forward to learning basic tools and strategies for improving conditions for bicycling in Fairfax County. Topics include: components of a successful advocacy campaign, developing an advocacy plan, online advocacy tools, and why citizen advocates make a difference. Attendees will have time to develop their own campaigns. Presenters are local citizens with a proven record of leading advocacy campaigns: FABB members Sonya Breehey, Bruce Wright, and Alan Young, and Fionnuala Quinn of The Bureau of Good Roads. More information about the workshop can be found at www.fabb-bikes.org or by contacting Bruce Wright at info@fabb-bikes.org or 703-328-9619. SB 1339, Careless driving; cause of injury to vulnerable road user, has now made it to the Senate Floor and it is time to contact YOUR Senator and ask them to support it. How to contact your state senator: visit “Who’s My Legislator”. Please vote for SB 1339 Careless driving (Surovell) on the Senate Floor. Virginia is one of only four states (with MA, SD, and WI) that does not statutorily require drivers to exercise due care at all times to avoid colliding with a pedestrian or bicyclist. While SB 1339 would be applicable only when a driver’s carelessness has caused a serious injury, it’s still better than what Virginia has today. 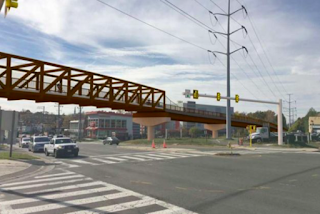 As part of the I-66 widening, VDOT has proposed building a bridge for the W&OD trail over Lee Highway. This would improve safety for trail users as well as speeding everyone along. 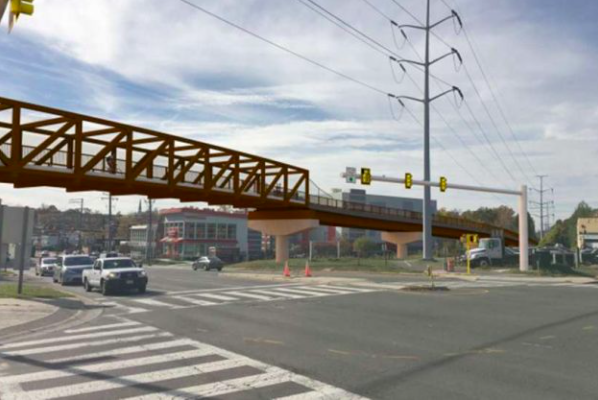 This has become controversial and theArlington County Board has heard from a number of neighborhood residents asking them to oppose the bridge. The project will be done as part of a design-build contract, so the design is still up in the air. The at-grade crossing will remain after the bridge is build since people who are frequenting the nearby businesses will still want to cross Lee Highway without having to do a long detour to get up onto the bridge. If you support the bridge over Lee Highway, the Arlington Board needs to hear from you ASAP. The Easy Option: Email the County Board at countyboard@arlingtonva.us. It doesn't have to be long. The More Impactful Option: Come out to the County Board Meeting THIS SATURDAY and sign-up to speak on agenda item #37. 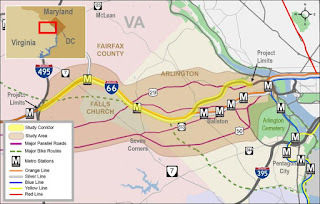 The Virginia Department of Transportations Transform I-66 Inside the Beltway: Environmental Assessment for the widening of I-66 from the Dulles Connector to Fairfax Drive. This grade-separated crossing is called for in the bicycle element of the Master Transportation Plan. It is important for safety now and will be even more important with the growing volume of turning cars coming as part of the I-66 widening. This intersection has been the location of at least 8 bike & ped crashes in recent years. You can also submit comments online through VDOT’s comment form, or send an email to Transform66@VDOT.Virginia.gov . Be sure to reference “Transform 66 Inside the Beltway Eastbound Widening” in the subject line. The W&OD bridge is included in the proposed build scenario for the I-66 Inside the Beltway Widening Project. The proposal is included in the preliminary design plans and final Environmental Assessment (see page 3-42 of the report) unveiled at public hearings hosted by the Virginia Department of Transportation (VDOT) in early December. Thanks to Chris Slatt of the Arlington BAC for the alert. We are writing to express our support for the VDOT proposed bridge for the W&OD trail over Lee Highway as part of the Widening I-66 Inside the Beltway project. This would improve safety for trail users as well as reduce problems for motorists transiting the crossing area. The trail system in Northern Virginia, from Arlington's bridges and tunnels to Fairfax's CCT, were planned for and invested in resulting in an excellent option for recreation and getting around safely without a car. The numerous grade-separated crossings allow users to avoid dangerous intersections and make the trail system an important resource for all. We urge VDOT to ensure the bridge is included in the final plans. Its construction will offer significant safety improvements for bicyclists and pedestrians at this very congested intersection. Building such a facility not only provides for the safe transit of it's current residents but will allow Northern Virginia to attract new ones and continue to be a desirable place to live and work. We've been following Virginia Bicycling Federation's reports on the bills that could affect bicyclists in the fast-moving Va legislative session. Below are updates from a previous blog entry, indicated with underlining. Bills that have failed indicated by strikethrough. SB 1207 Electric personal delivery devices. Allows for the operation of electric personal delivery devices on the sidewalks and shared-use paths and across roadways on crosswalks in the Commonwealth unless otherwise prohibited by a locality. The bill directs that such devices shall not be considered vehicles and are exempt from the motor carrier provisions of Title 46.2 (Motor Vehicles). Filed by Sen. DeSteph. Update 26 Jan - Passed Senate Transportation Subcommittee 12-0. SB 1338 Bicycle lane; penalty for driver to pass another vehicle using lane. Filed by Sen. Surovell. Bill number added. Update 25 Jan - Amended bill passes Senate Transportation Subcommittee 8-5. SB 1339. Careless driving; cause of injury to vulnerable road user. Filed by Sen. Surovell. Update 25 Jan - Heavily amended (reduced penalties) bill passes Senate Transportation Subcommittee 9-4. Subcommittee recommends reporting with substitute (9-Y 1-N). HB1633 Careless driving; cause of injury to vulnerable road user. which creates a lower criminality threshold and higher penalties for drivers who injure pedestrians and cyclists. Filed by Del. Rip Sullivan and co-sponsored by Del. Jim LeMunyon. HB 1834 Distracted driving; penalty. Adds a “Distracted Driving” offense to the section of the Code that prohibits Reckless Driving (46.2-868). This will add a lesser infraction to the code for infractions that are not as severe as to warrant “Reckless Driving” which has traditionally been considered a very severe charge in this state. Filed by Del. Anderson. Update 25 Jan - Being re-written. HB 2016 Electric personal delivery devices; operation on sidewalks and shared-use paths. This bill anticipates having wheeled drones delivering merchandise in the future. Filed by Del. Villanueva. HB 2023 Highway maintenance payments; bicycle lanes. The bill to not reduce highway maintenance payments to municipalities that have implemented road diets. Filed by Del. Villanueva. Update 19 Jan - Reported out of Transportation Committee 22-0. Earlier this year the US Department of Transportation released draft performance measures for evaluating our transportation systems. The measures focused only on speed or travel times for motorized vehicles. The League of American Bicyclists and others encouraged cyclists and pedestrians to submit comments asking that biking and walking be addressed as well. The final performance measures now include all modes, helping ensure that our transportation system is used to move people, not just motor vehicles. Late yesterday the US Department of Transportation released their final version of performance measures — including air quality, congestion and performance of major roads. US DOT’s initial proposed measures focused exclusively on cars by measuring only the speed or travel times or cars and trucks. Had the rule stood, it would have incentivized states to build new road capacity and increase speed; it would have also impeded states' and communities’ complete streets and vision zero policies. Earlier this summer we asked you to weigh in on that draft rule, imploring US DOT to measure people not just cars: including people walking, biking, carpooling or taking transit. Thanks to your responses, and those of our allies, US DOT made significant changes to the rule. The rule creates a multi-modal performance measure that will measure the percent of travel made by non-single occupancy — as a measure to reduce congestion. States will have to establish targets to increase biking, walking an transit. Under the new rule, state transportation agencies will be required to plan for and monitor the impact of their project on green house gas emissions. This will apply to National Highway System roads, including both interstate and other major roads such as arterials and state highways. This should encourage states and MPOs to invest in biking and walking projects to help reduce congestion and improve air quality. Finally the performance measures will still measure travel time and vehicle speeds but will also account for the number of people in those vehicles (person-miles instead of vehicle miles). This will incentivize transit, carpooling and ride–share options over single occupancy vehicles. The Fairfax County Department of Transportation will host a community meeting on Tuesday, Jan. 31, 6:30 - 8 p.m., at the Mason District Governmental Center, 6507 Columbia Pike, Annandale, to present information regarding proposed pedestrian and bicycle enhancements that can be implemented with road repaving this year. The purpose of the meeting is to gather input on various proposals to improve traffic safety, bicycling and the pedestrian environment in Annandale. Is biking stressing you out? Here’s how planners are trying to make things better is the title of an article in Sunday's Washington Post about how local jurisdictions are creating maps that show the level of traffic stress on bike routes. Fairfax County is developing a similar map as an update to the current Fairfax County Bicycle Map. That map has two primary categories of routes, "Preferred" and "Less Preferred." With only two categories for on-road routes, cyclists who are not familiar with the routes have little information about their comfort level. Many of the Less Preferred routes are not bike-friendly and are avoided by most cyclists. They are shown only to connect the Preferred routes. Level of Traffic Stress maps usually show several (4-5) .levels of stress. Besides giving cyclists more information, the highest stress routes clearly show where improvements are needed. Many of our neighborhood streets are very low stress but they do not connect to form a complete network. A stress map would show where a few improvements could connect these lower stress roads. Meet with Metro staff at Metrorail stations to ask questions, take the survey and provide feedback. Attend an open house from 4:30-6:30 p.m. and public hearing starting at 5:00 p.m. at Metro Headquarters, 600 5th Street NW, Washington DC on Monday, January 30, 2017. Speaker registration is onsite only and will close at 9:00 p.m.Public feedback will be provided to Metro's Board of Directors in March 2017 as part of the final decision making process. Any Board-approved fare or service changes will begin on July 1, 2017. A number of bicyclists and pedestrians are going to be directly affected by the budget plans and revisions, in particular the reduction in bus routes and increase in fares. We know that if you buses are more affordable, ridership increases. One minor direct example of this has occurred in 2016 in Annandale, where, at least from anecdotal evidence, the 16 series from the Pentagon to Annandale along Columbia Pike is not as crowded as it used to be. Why? WMATA lowered the price of the 29C/G bus (Pentagon-Annandale-via 395) from Express levels ($4 presently, proposed to be $4.25) to Local levels ($1.75 presently, proposed to be $2.00). Curiously, people seem to prefer a faster inexpensive bus to a slower inexpensive bus. The 29C/G bus is now frequently standing-room only on the way to the Pentagon and is frequently full on the way back to Annandale. It probably has picked up ridership from some of the long-haul 16 Annandale lines, like the 16A/B/E/L lines, as well as some from the 29K/N lines to the King Street metro. It may have increased ridership in general as well. It also may have picked up ridership from the 17A/B/M routes that parallel some of the route. Those 17 A/B/M routes, by the way, remain at the Express $4 fare, and, based on ridership numbers, are among the routes proposed to be cut. Fairfax County Department of Transportation (FCDOT) will host a community meeting to discuss two proposed bicycle improvements in Springfield and Braddock Districts on Tuesday, Jan. 24, 2017, 6:30-8 p.m., in the cafeteria of Irving Middle School, 8100 Old Keene Mill Road, Springfield. Cyclists are encouraged to attend to speak out in support of these projects. * Greeley Boulevard from Carrleigh Parkway to Old Keene Mill Road. * Hillside Road from Rolling Road to Old Keene Mill Road. You can submit comments on the Springfield/Braddock Biking Improvements page. Interested in learning about bicycle advocacy? FABB is looking for up to three of our members to participate in the 2017 National Bike Summit. The summit is the nation’s premier annual bike advocacy event, and it will be held from March 6-9, 2017, in Washington D.C. at the Renaissance Hotel. If you are interested in participating to learn more about bicycle advocacy and are able to commit to the three-day summit, please contact Jeff Anderson at president@fabb-bike.org and tell us why you would like to attend the summit. We've been following Virginia Bicycling Federation's reports on the bills that could affect bicyclists in the fast-moving Va legislative session. Below are updates from a previous blog entry, indicated with underlining. SB 1207 & HB 2016 Electric personal delivery devices. Identical bills filed by Sen. DeSteph and Del. Villanueva: Allows for the operation of electric personal delivery devices on the sidewalks and shared-use paths and across roadways on crosswalks in the Commonwealth unless otherwise prohibited by a locality. The bill directs that such devices shall not be considered vehicles and are exempt from the motor carrier provisions of Title 46.2 (Motor Vehicles). SB 1223 Riding bicycle, electric personal assistive mobility device, etc., while intoxicated; penalty, making it a Class 2 Misdemeanor to ride a bicycle, SegWay, moped, or electric power assisted bicycle on a highway while intoxicated. Filed by Sen. Baker. Update 19 Jan - An additional bill being watched by VBF. SB 1338 Bicycle lane; penalty for driver to pass another vehicle using lane. Filed by Sen. Surovell. Bill number added. Updated 19 Jan.
HB 1504 Issuance of a driver's license or learner's permit; minimum standards for vision tests; and HB 1514 Health care practitioners; reporting disabilities of drivers. Two bills attempting to get drivers with poor vision off the road that was filed at the request of Dr. Ed Wortham, an ophthalmologist and the father of Carrie Wortham, who was killed in September 2015 by a driver with poor vision who drove into her as she was cycling on Rt. 33. Filed by Del. Fowler. HB 1834 Distracted driving; penalty. Adds a “Distracted Driving” offense to the section of the Code that prohibits Reckless Driving (46.2-868). This will add a lesser infraction to the code for infractions that are not as severe as to warrant “Reckless Driving” which has traditionally been considered a very severe charge in this state. Filed by Del. Anderson. HB 2023 Highway maintenance payments; bicycle lanes. The bill to not reduce highway maintenance payments to municipalities that have implemented road diets. Filed by Del. Villanueva. Update 19 Jan - Reported out of Transportation Committee 20-0. Another Capital Bikeshare station was recently installed in Reston. 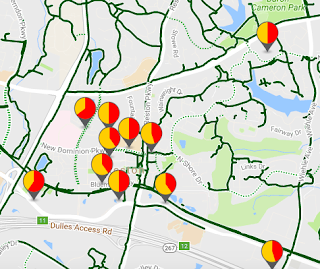 It's located at Cameron Crescent Apartments just north of Lake Anne Village Center, the first station in that area. The station is located about a 15-20 minute ride to the Wiehle-Reston East Metro station. There are now 11 of 15 planned stations in place. While the bikes likely didn't get much use on this rainy day, this will be a tremendous asset for residents of the Lake Anne area to allow them easy, affordable access to Reston Town Center and Wiehle Station. 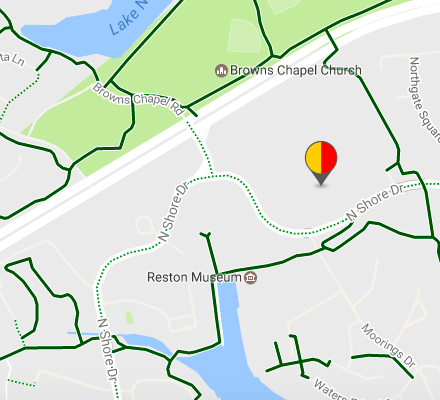 Another new stations was installed just south of the Town Center on Sunset Hills Rd just west of Reston Parkway, just across the street from the planned Reston Town Center Metro station. It's located near several large office buildings and a planned mixed use complex to the north. Are you interested in making Fairfax County more bike-friendly? On February 4, 2017, Fairfax Alliance for Better Bicycling (FABB) is hosting a free workshop that will provide attendees the basic tools and strategies needed to help make bicycling conditions better in Fairfax County. The workshop will be held on Saturday, February 4, 2017, from 9:30 a.m. to 3 p.m. at Prince of Peace Lutheran Church, 8304 Old Keene Mill Rd in Springfield (across the street from the Springfield Golf and Country Club). There is no charge for the workshop; however, participants are asked to pre-register before January 29, 2017 (www.fabb-bikes.org). Lunch will be provided. Topics include: components of a successful advocacy campaign, developing an advocacy plan, online advocacy tools, and why citizen advocates make a difference. Attendees will have time to develop their own campaigns. Presenters are local citizens with a proven record of leading advocacy campaigns: FABB members Sonya Breehey, Bruce Wright, and Alan Young, and Fionnuala Quinn of The Bureau of Good Roads. FABB is an all-volunteer nonprofit organization dedicated to improving conditions for bicyclists of all ages, nationalities, and walks of life. 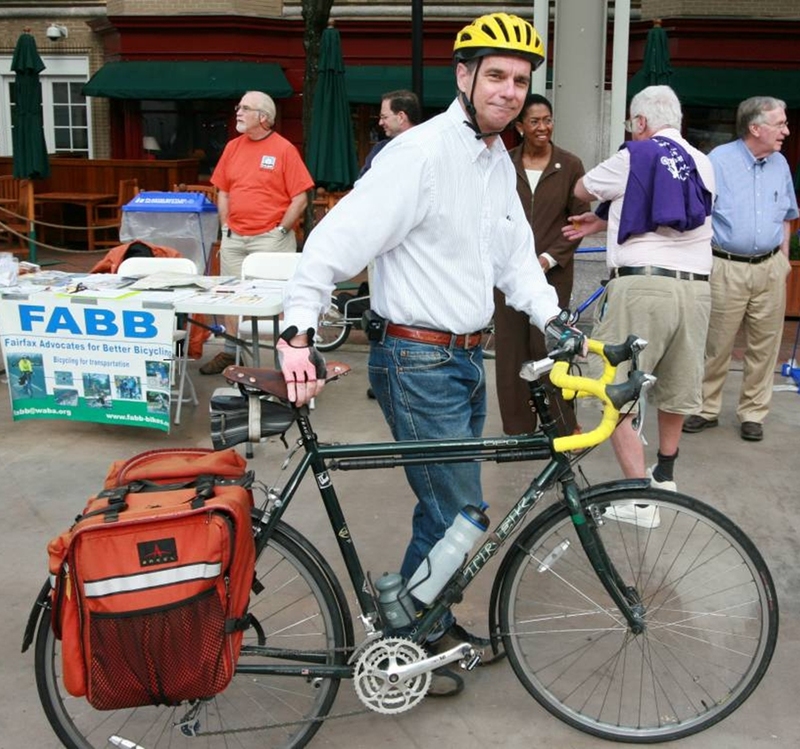 Over the past decade FABB has played a key role in advancing bicycling in Fairfax County. More information about the organization and workshop can be found at www.fabb-bikes.org or by contacting Bruce Wright at info@fabb-bikes.org or 703-328-9619. Systematic Safety: The Principles Behind Vision Zero. "This video is an explanation of the Dutch 'sustainable safety' policy by prof. Peter Furth of the Northeastern University of Boston, who feels Systematic Safety would have been a better name. Concept and narration: Peter G. Furth. Filming and editing by Mark Wagenbuur." Roads are planned according to a concept known as design speed, basically the speed vehicles are expected to travel.3 Engineers often apply the 85th percentile rule to a similar road to arrive at the design speed for the proposed road. It might make sense, then, that the design speed would become the speed limit. 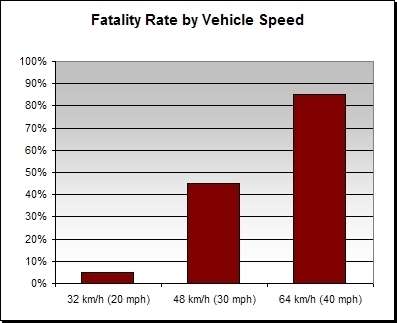 However, in practice, the design speed is often used to determine the minimum speed of safe travel on a road. When building roads, the 85th percentile calculates the speed the engineers hope or intend people will travel, but then it’s used to design a road to meet that speed at a minimum, with a factor of safety allowing for faster travel,” he told me. In other words, by adding additional “safety” to the road, it is designed to make people comfortable going faster than the engineers’ intended speed. A while back we reported on a new USDOT document that included guidance to traffic engineers, encouraging them to use other criteria for setting speed limits: Bicycle and Pedestrian Funding, Design, and Environmental Review: Addressing Common Misconceptions. Route 1 where pedestrian was recently killed. Streetsblog NYC recently reported on a landmark court case that could have major implications for New York City's Department of Transportation and could have an impact on other municipalities and even states: State’s Highest Court Holds NYC Liable for Injuries on Streets Without Traffic Calming. 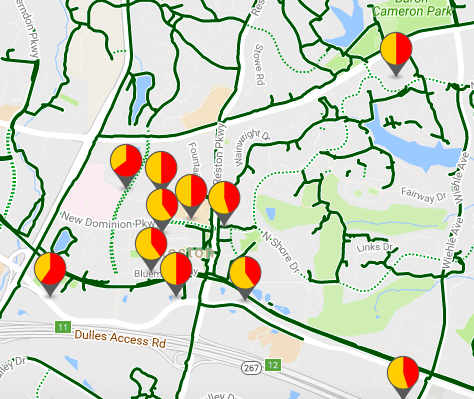 On streets with a history of traffic injuries and reckless driving like many in Fairfax County such as Routes 1 & 7, departments of transportation must implement traffic calming to make those streets safer. The Court of Appeals, New York’s highest court, ruled that New York City and other municipalities can be held liable for failing to redesign streets with a history of traffic injuries and reckless driving. The ruling stems from a crash in 2004, when Louis Pascarella, driving “at least” 54 miles per hour in a 30 mph zone, struck 12-year-old Anthony Turturro as he rode a bike on Gerritsen Avenue. Pascarella later pled guilty to assault. A civil trial jury awarded Turturro $20 million, finding the city 40 percent responsible for the crash. The city appealed, and the case made its way to the Court of Appeals, which last month rendered a 6-1 finding in favor of Turturro. Who maintains your neighborhood road? What about the roads to work or to your favorite restaurant? Well, there are eight answers! 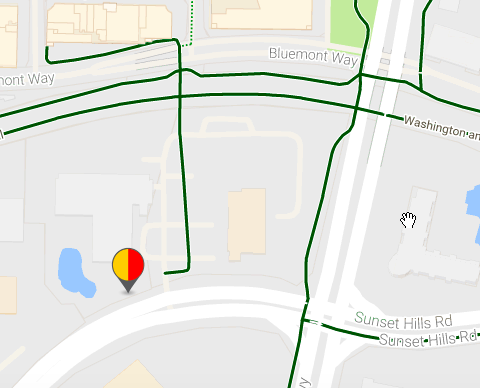 Our new interactive, searchable map can now tell you who owns what road easily. If you see a pothole or other road maintenance issue, you can find who’s responsible. The Park Authority Trail Buddy interactive map shows who owns most paved trails in the county. Unfortunately sidewalk ownership isn't identified. 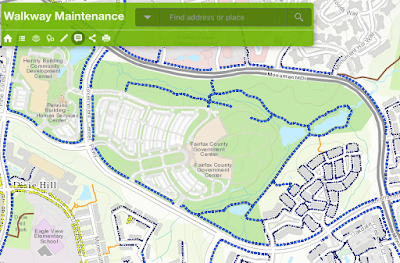 Update: Shortly after posting this entry we were informed (via the Fairfax Co Government Facebook page) that there is an interactive map showing who maintains trails and sidewalks in the county, the Walkway Maintenance map. SB 860 Use of handheld personal communications devices while driving; penalty. Would prohibit usage of handheld personal communication devices while driving. Filed by Sen. Surovell. There are two other bills from Sen. Surovell that do not yet have bill numbers. He is "introducing a 'vulnerable user' bill which creates a lower criminality threshold and higher penalties for drivers who injure pedestrians and cyclists. Also, in an attempt to address the scourge of vehicles continuing to pass stopped vehicles on Sherwood Hall Lane, I am introducing legislation to make clear that bicycle lanes cannot be used by cars to pass other vehicles. 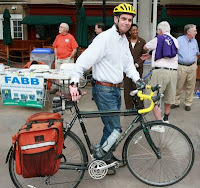 Please plan on joining FABB next week for our monthly meeting, which will feature bicycling and related issues in the Hunter Mill District, Town of Herndon, and Great Falls areas. We will be meeting on Wednesday, 18 January, from 7:30pm to 9:30pm at the Herndon Fortnightly Library, 768 Center St, Herndon. In 2017 FABB will be continuing the practice started last year of holding its monthly meetings throughout Fairfax County in the various magisterial districts and associated jurisdictions. Changing venues has allowed us to be more inclusive by encouraging attendance from local residents near the venues and making it easier for government officials or their representatives to participate in the often lively discussions about bicycle-related needs and concerns. Among the guest speakers on the 18th we will have FCDOT's Adam Lind or a colleague there to talk about progress on and upcoming plans for implementing the County's bicycle master plan in the Hunter Mill-Herndon-Great Falls areas. There will be a question-and-answer period as well as FABB's usual program of providing updates and sharing information about our upcoming activities, bicycling-related public meetings, and other bicycle advocacy opportunities. FABB would like to welcome its new At-Large Board Member, Katie Kelly. In addition to being an avid bicyclist, Katie lives in Reston and is a director with SCORE Mentors, which seeks to foster vibrant small business communities through mentoring and education. 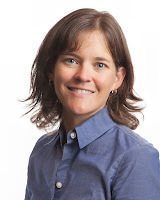 She also is a founder and president of Squij-Kat Inc., a Reston-based company that designs and sells products that celebrate bicycling and overall wellness. Katie is replacing Alan Young. Alan, a devoted and hardworking FABB member for many years, led the FABB Futures Project that resulted in our group becoming an independent non-profit organization last year. Fortunately, Alan plans to remain active in FABB, especially in our advocacy training efforts. The first FABB monthly meeting of the year will be held on Wednesday, 18 January, at the Herndon Fortnightly Library, 768 Center Street, Herndon. Our focus will be on bicycling facilities in the Herndon-Great Falls-Hunter Mill District area. All cyclists and other interested residents are invited to attend and discuss how we can make this area even more bike friendly. In the following month we will be meeting on Wednesday, 15 February, at the Mt. Vernon Government Center, to talk about bicycling matters and upcoming advocacy opportunities in the Mt. Vernon and Lee Districts. Speaking of meetings, our December Holiday reception at the Mad Fox Brewing Company in Falls Church was a great success with nearly 40 FABB members and supporters attending. Have you ever noticed when riding your bike an issue that needs fixing but weren't sure how to get it done? Are you interested in making Fairfax County more bike friendly? Then this workshop is for you! FABB is offering a beginner level bike advocacy workshop to provide you the basic tools and strategies to effect change in your community. FABB has successfully advocated for improved bicycling in Fairfax County over the past decade and would like to support others interested in continuing the progress. The workshop will focus on Fairfax County, understanding the local decision making process and how best to get your message out to have successful results. Together, with the right tools and resources, we can continue making bicycling our region safer and more accessible. FABB's advocacy workshop will be held February 4, 2017 from 9:30-3pm, at Prince of Peace Lutheran Church, 8304 Old Keene Mill Rd, Springfield. There is no charge for the workshop. Lunch will be provided. To sign up, register here. Online registration closes January 29. The National Bike Summit is the nation’s premier annual bike advocacy event, and it will be held from March 6-9, 2017, in Washington D.C. at the Renaissance Hotel. Since 2000, the League of American Bicyclists has gathered bicyclists from around the country to unite their voices on Capitol Hill and bring the message about better bicycling to our nation’s elected representatives. See the National Bike Summit schedule webpage for more information. The Summit’s focus will be on regional planning, national and local messaging, and the road map for collaboration in advancing the bicycling movement. Workshops include topics such as youth bike education, Vision Zero safety initiatives, and Bicycle Friendly Community applications. There also will be opportunities to tour a National Museum of American History exhibition on bicycles and a behind the scenes look at NPR’s new state-of-the-art bike facilities with NPR bike group members. Learn more about the summit with this short Youtube video. As it has in the past, FABB will be funding the attendance of up to three of our members to the Summit. If you are interested in participating to learn more about bicycle advocacy, please contact Jeff Anderson at president@fabb-bike.org and tell us why you would like to attend the summit. FABB is joining the Capital Trails Coalition (CTC) and has already attended its first CTC meeting. 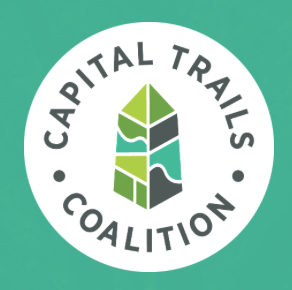 If you are not familiar with it, the coalition is a collaboration of public and private organizations, agencies, and citizen volunteers working to advance completion of an interconnected network of multi-use trails for the DC metropolitan region. Its goal is to create a world-class network of multi-use trails that will transform public life by providing healthy, low-stress access to open space and reliable transportation for people of all ages and abilities. In addition, CTC continually works to identify trail funding, broaden the base of support, and cultivate widespread consensus that a capital trail network is a regional priority. FABB is excited to be working with the other coalition members in this endeavor. We expect to be active in helping to define the Fairfax parts of the trails system and in establishing reasonable criteria that allows for the inclusion of Fairfax trails in the network. FABB is looking for a volunteer to serve as our representative to CTC meetings and to help drive FABB efforts to support the CTC mission by engaging Fairfax residents about the trail network and gathering their feedback and input. FABB anticipates that this effort will require 3-4 hours per month to attend and report on the meetings and then to work with the Board to determine the need for any actions. If you might be interested in serving in this role, please contact Jeff Anderson at president@fabb-bike.org. 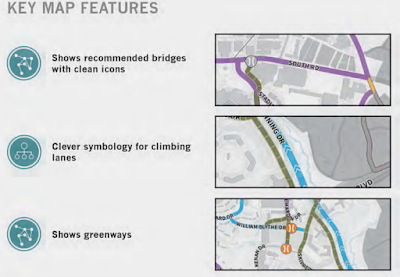 A grade-separated pedestrian and bicycle overpass of the W&OD Trail at the intersection of Washington Boulevard/Lee Highway in Falls Church is included in the proposed build scenario for the I-66 Inside the Beltway Widening Project. The W&OD bridge proposal is part of the preliminary design plans and final Environmental Assessment (see page 3-42 of the report) unveiled at public hearings hosted by the Virginia Department of Transportation (VDOT) in early December. The W&OD bridge would offer significant safety improvements for bicyclists and pedestrians at this intersection. Public support for this overpass is essential to make sure this critical component of the trail is built. You still have until 30 January to provide written comments to Ms. Amanda Baxter, Special Projects Development Manager, at Transform66@VDOT.Virginia.gov. Please reference “Transform 66 Inside the Beltway Eastbound Widening” in the subject line. 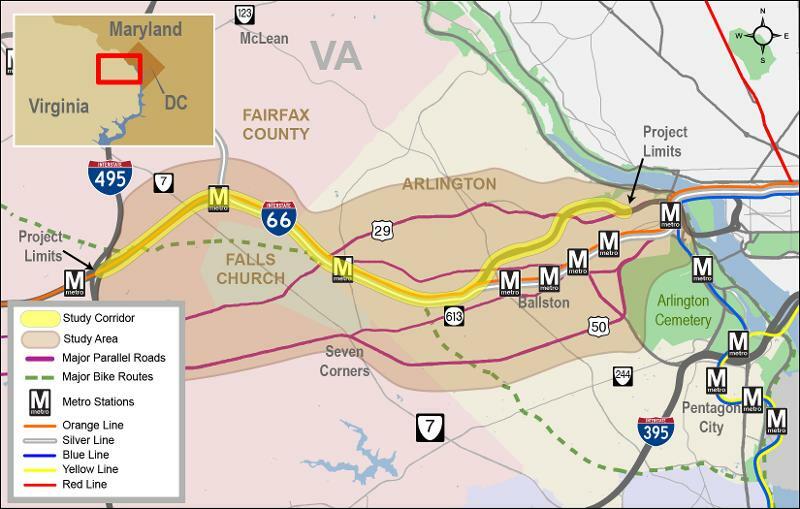 The I-66 Inside the Beltway project involves adding an eastbound travel lane on I-66 from just east of the Dulles Connector Road (Route 267) to Fairfax Drive/Glebe Road (Exit 71). Project information, including preliminary design plans, environmental technical studies, project schedule, and right of way and civil rights information, can be found at www.Transform66.org. FABB recently sent a letter to the Board of Supervisors objecting to modifications to the initial proposals for the Rolling Road Widening Project. 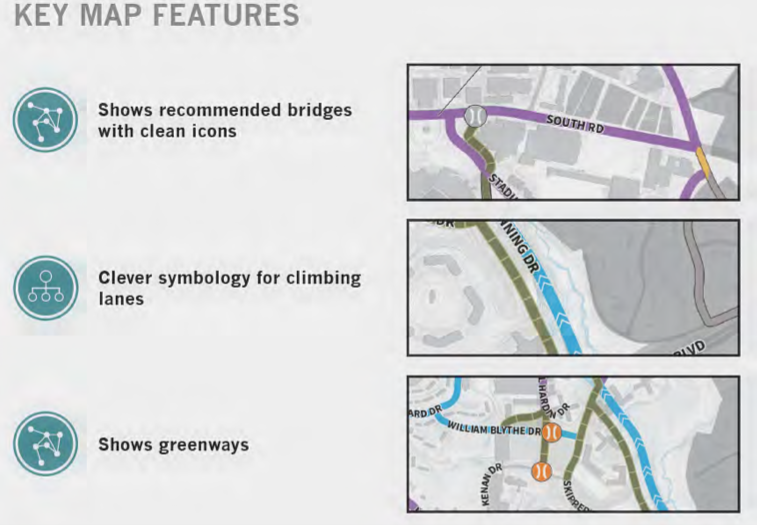 The projects proposed bicycle improvements, which were recommended by VDOT, FCDOT, and endorsed by FABB, have been modified to the point of being unhelpful. The Fairfax County Sidewalks and Trails Committee has expressed its concerns that the current proposal for a sidewalk on one side of the road and an 8-foot path on the other is inadequate for this critical connection between West Springfield and Fort Belvoir. The project’s goal is to reduce congestion and improve safety by widening Rolling Road (Route 638) from two to four lanes between the Fairfax County Parkway and Old Keene Mill Road. In addition to the now modified and inadequate bicycle and pedestrian facilities, the project will add turn lanes and stormwater management facilities. Work on interim improvements (dual-left turn lanes from Rolling Road to westbound Old Keene Mill Road and upgrading signal and intersection alignment) is expected to begin this spring. Your help is needed to ensure this project includes safe and accessible biking and walking facilities. Please send comments to meetingcomments@vdot.virginia.gov. Please include “Rolling Road Widening” in the subject line. On Tuesday, 13 December, the City of Fairfax held a meeting on the extension of University Drive north of Fairfax Boulevard. The project includes bike lanes on both sides of the street and is part of efforts to revitalize Fairfax Boulevard as a more walkable and bikeable destination. Unfortunately, most of the city residents who spoke at the meeting were opposed to the plan. In reaction, the Fairfax City Council decided it needed more time to consider the community’s comments and obtain more information about its options. Further discussion has been deferred until 24 January and FABB encourages local cyclists to contact the city council to support the extension. 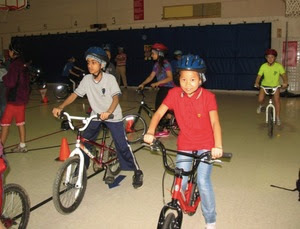 Fairfax County Public Schools are offering bicycle safety classes to elementary and middle school students. The class will be held at the Hunter Woods Elementary School in January and at King’s Glen Elementary School in February. Students are provided bikes for the class. After getting lessons on helmet fitting and bike safety checks, the students practice basic riding skills. A second lesson allows students to practice stopping at stop signs, yielding to traffic, riding in groups, and making decisions. New riders work on balance bikes until they are ready for a pedal bike. See the schedule for the rest of the school year, initially posted by Sally Smallwood, Safe Routes to School Coordinator for FCPS, and learn more about the program by visiting this FABB blog on the program. January 18 - FABB Monthly Meeting for Herndon-Great Falls-Hunter Mill District, Herndon Fortnightly Library, 768 Center Street, Herndon, VA.
February 15 - FABB Monthly Meeting for Mt. Vernon and Lee Districts, Mt. Vernon Government Center, 2511 Parkers Ln, Alexandria, VA.
March 6-9 – 2017 National Bike Summit, Washington, DC. March 15 – FABB Monthly Meeting at Oakton Public Library, 10304 Lynnhaven Pl, Oakton, VA.
April 29 - SpringFest Fairfax, The Sully Historic Site, 3650 Sully Historic Way. 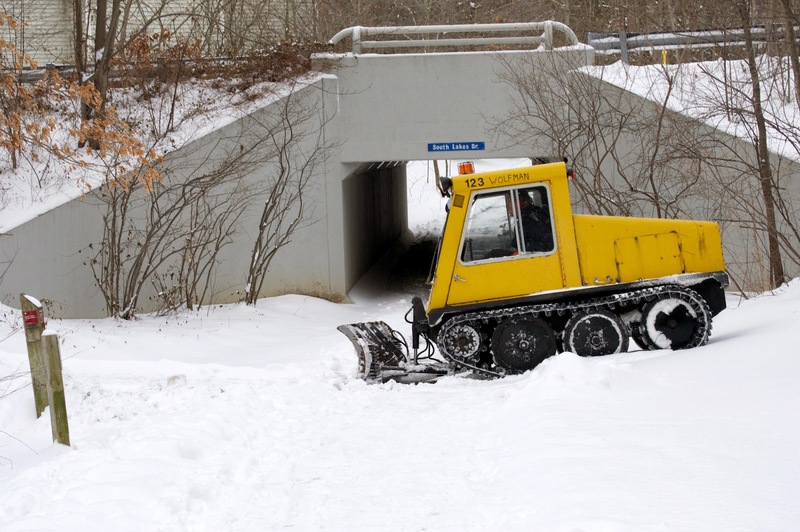 Fairfax County is proposing to begin clearing snow on selected trails leading to Metro stations. In October Fairfax County's pedestrian program manager gave a presentation on Trail Snow Removal and Lighting to the Board of Supervisor's Transportation Committee (the slide says July but the presentation was given in October). Since the Tyson Metro stations will have no permanent vehicle parking, access to the stations by pedestrians and bicyclists is critical, including after snow storms. 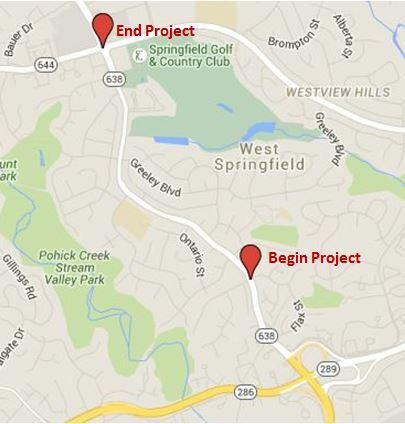 Three proposed trails in Tysons that provide access to the Spring Hill and McLean Metro stations are included in the pilot project: Ashgrove and Vesper Trail (Spring Hill) and Scotts Run (McLean). Two trails leading to the Franconia-Springfield Metro station are also included: Metro to Barry Rd and Barry Road to Crestleigh Way. See the presentation given to the Board of Supervisors on snow removal and lighting of trails. It's not clear how much snow must accumulate before the trails will be cleared. There's a reference to the W&OD Trail, stating that that trail is cleared when 6 inches have accumulated which is not what we've heard. We think it's more like 2-3 inches. Even with that little snow, if temperatures are below freezing and people walk on the snow, trails are very difficult to navigate by bike. We think the amount of accumulation before clearing should depend on future conditions; if cold weather is predicted for a long period of time, then even small amounts of snow should be cleared. A study done at McGill University shows bike commuters, at least in Montreal which has an excellent cycle track network, are more energized and punctual than users of other travel modes. An individual’s commute has an impact on his or her energy at work. Drivers have the lowest odds of feeling energized at work. Bus riders have the highest odds of arriving late at work. Waiting time for transit users influences their odds of being punctual. Cyclists have the highest odds of being energized and punctual. They also found that drivers self-report feeling the least energized when arriving at the Montreal, Canada, university and are most likely to say their commute negatively impacts their punctuality and attendance. Transit riders are next most likely to feel drained and delayed by their commute, with walkers falling between cyclists and transit riders. Have you ever noticed an issue when riding your bike that needs fixing, but you weren't sure how to get it done? Are you interested in making Fairfax County more bike-friendly? On February 4 Fairfax Alliance for Better Bicycling (FABB) is hosting an all-day free workshop that will provide participants the basic tools and strategies needed to help make bicycling better in Fairfax County. The advocacy workshop will be held on February 4, 2017 from 9:30 am to 3pm at Prince of Peace Lutheran Church, 8304 Old Keene Mill Rd in Springfield (across the street from the Springfield Golf and Country Club). There is no charge for the workshop. Lunch will be provided, however participants are asked to pre-register before January 29, 2017. This resource highlights ways that different communities have mapped their existing and proposed bicycle networks. It shows examples of maps at different scales, while also demonstrating a range of mapping strategies, techniques, and approaches. Facility types represented on the respective maps and legends are each different because they represent a community’s unique context and needs.